To prepare the fish, rub with salt and lemon juice. Heat the coconut oil in a large nonstick skillet over medium high heat. Add fish to pan and cook each side 3-4 minutes depending on the thickness of the fillets. Sprinkle the paprika over the sizzling oil in the pan after turning each side of the fillets. Cook until the fish flakes easily with the fork. Serve hot with Garlic Asparagus if desired. Baligi tuz ve limon suyu ile ovalayin.Hindistan cevizi yagini genis bir tavaya alin ve yuksek ateste yagi kizdirin. Baliklarin her iki tarafini da kalinligina bagli olarak yaklasik 3-4 dakika pisirin. Baliklari ikinci tarafini pisirmek uzere cevirince kirmizi toz biberi tavadaki yaga ilave edin ve esit olarak yayin. Baliklarin pismesini catal batirip kolayca ayrilmasina gore ayarlayin. Sarimsakli Kuskonmaz ile sicak servis yapabilirsiniz. Preparing various recipes with fish is very exciting, because one spice can completely change the taste of the dish entirely. 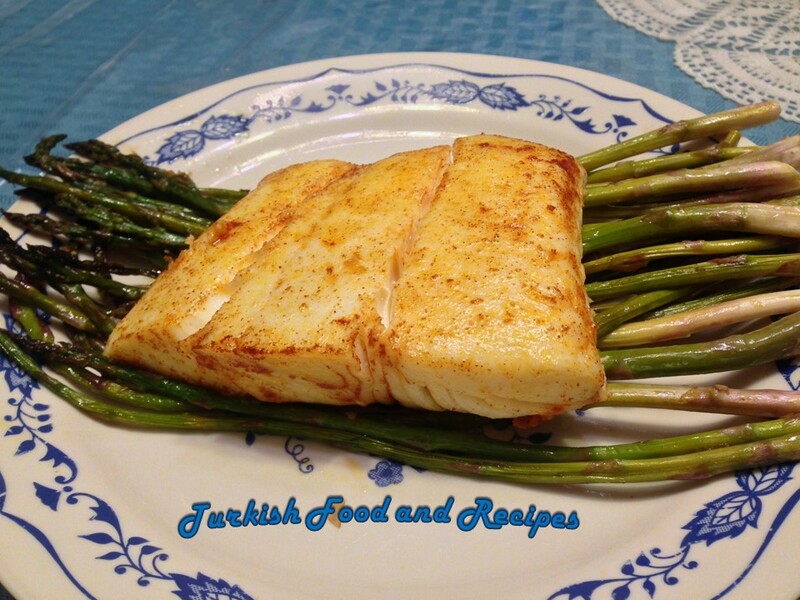 Thanks to fish this dish is not only tasty, but healthy too. Thanks a lot and good luck.